Dr Barrington is a director of the Voluntary Health Insurance Board and a member of the Press Council of Ireland. She is the Chair of TREOIR, the federation of services for unmarried parents; the Chair of the Council of the National Children’s Research Centre; and Chair of the St John of God Research Foundation. She is a director of the Children’s Medical Research Foundation and the Daniel O’Connell Summer School. 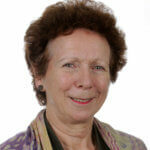 She was chief executive of Molecular Medicine Ireland from 2007-2012 and of the Health Research Board from 1998 to 2007. She previously served as an Assistant Secretary in the Department of Health. From 2002 to 2012 she was a governor of The Irish Times Trust, serving as Chair of the Trust from 2010 to 2012. She was a director of the Board of Irish Times Ltd. from 2008-2012. She was previously a Director of TASC, a not-for-profit research organisation dedicated to reducing economic inequalities and improving the quality of democracy in Ireland. She is a graduate of University College Dublin and the College of Europe, Bruges and was awarded a PhD from the London School of Economics in 1985. She was awarded an honorary degree in laws by the National University of Ireland, Maynooth in May 2005.